Invitation: Every Saturday Can Be A Shoe Party! August 21, 2013 / Surrealist Love Scene - Be Fearless, Bold and have Courage. We love shoes. We love shopping. We love parties. 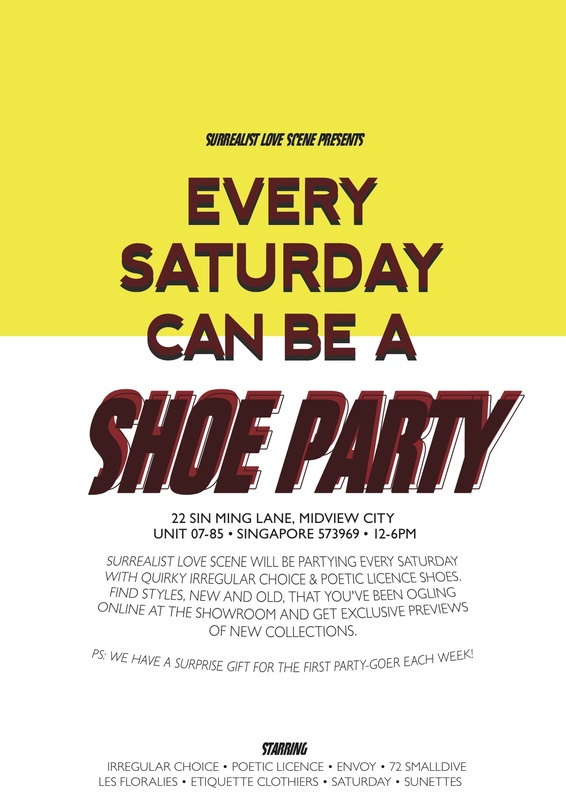 So we’re having one every Saturday !For our WEARTO.COM friends who have been eyeing their favourite Irregular Choice shoes or 72 Smalldive cardholder, drop by the Surrealist Love Scene showroom at Midview City, to get the full experience of trying shoes, strutting in them and having some fun! Complete with some vinyl playing and comfortable sofas, join us this Saturday for a chill afternoon at SLS. We will be giving away something lovely for the first party-goer! July 19, 2013 July 19, 2013 / Surrealist Love Scene - Be Fearless, Bold and have Courage. June 3, 2013 / Surrealist Love Scene - Be Fearless, Bold and have Courage. 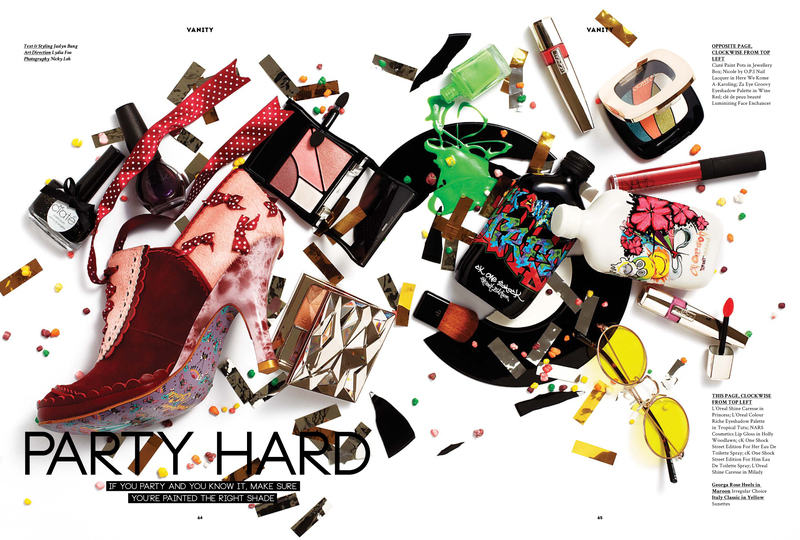 It’s never too late to say thank you to our dear friend, Lydia from Ziggy, for featuring Irregular Choice’s Georga Rose and Sunettes’ Lennon glasses in April’s issue! 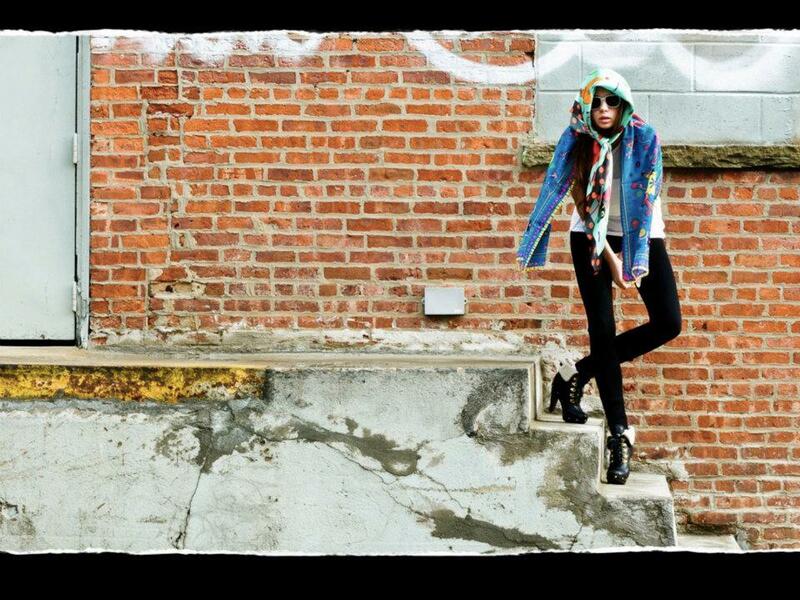 XOXO to the Ziggy team. You can find Irregular Choice and Sunettes here. May 28, 2013 / Surrealist Love Scene - Be Fearless, Bold and have Courage. The Great Gatsby is undisputedly THE movie of the week. The Great Gatsby follows the story of the mysterious millionaire Jay Gatsby and his passion(or perhaps obsession) with Daisy Buchanan and we have to admit that we were so hooked throughout the show! Nope, we’re not talking about suave appearances of Leonardo DiCaprio and Tobey Maguire nor was it the sappy love story that got to us, but instead, it was the colourful characters of the women who inspired us. With their loud and proud personalities, whether rich, fancy or poor, each made and captured the iconic fashion flavours of the 20s. According to Catherine Martine, costume director of The Great Gatsby, fashion documented the 20s in perfect tunes with all the jazz and glamour. The Great Gatsby set out to be a reinterpretation of the era in a modern context (fashion telegraph), one in which the producers achieved successfully. While the iconic chandelier dress by Prada was the highlight of all fashion enthusiasts, we still have our eyes settled on Mrytle Wilson’s style and personality. 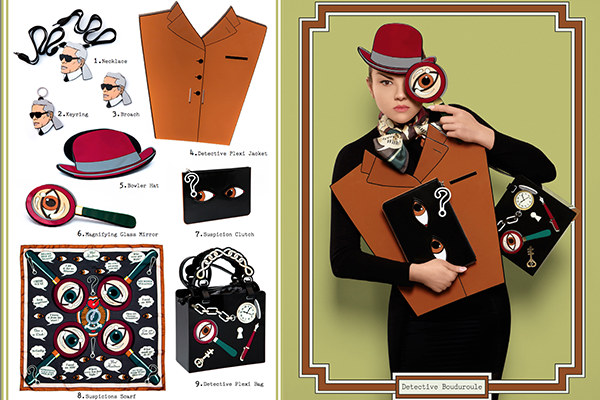 Catherine Martin has done a great job in injecting the character’s personality into what they are wearing. Notice how the 20s era was all about flapper dresses and dropped waist silhouette? Mrytle Wilson was none of that! Bodycon dresses in a lava red colour scheme was the complementary look to her fiery red hair and personality. While Daisy, as her name suggests, was wearing all things sweet, beautiful and pretty, Mrytle Wilson marched her own parade with her daring attitude and style without a care for the world. Recalling Mrytle’s tragic life story (and how it ended), we feel the need to give this woman a credit for her ‘against all odds’ flair and style. 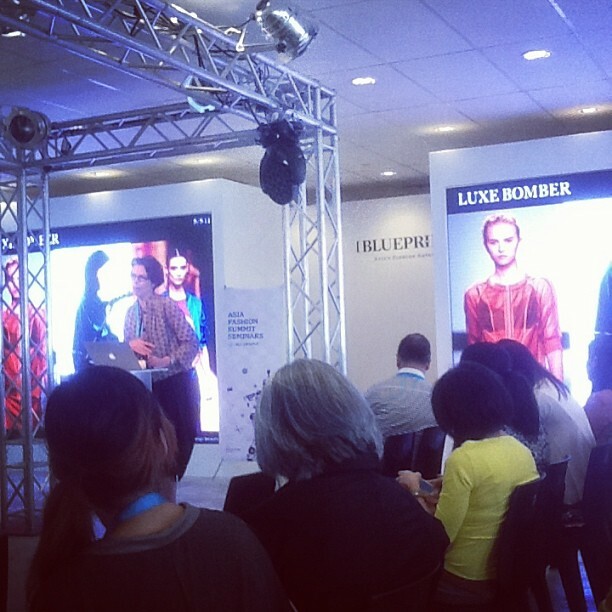 When WGSN held a seminar on the next 2014 spring/summer trend forecast, we had to be there to share the word. Known as the worldwide leader in fashion forecasts, WGSN has summoned Lornie Hall to give us the exclusive preview on what will we be expecting to see in our retail stores (or wardrobe!). 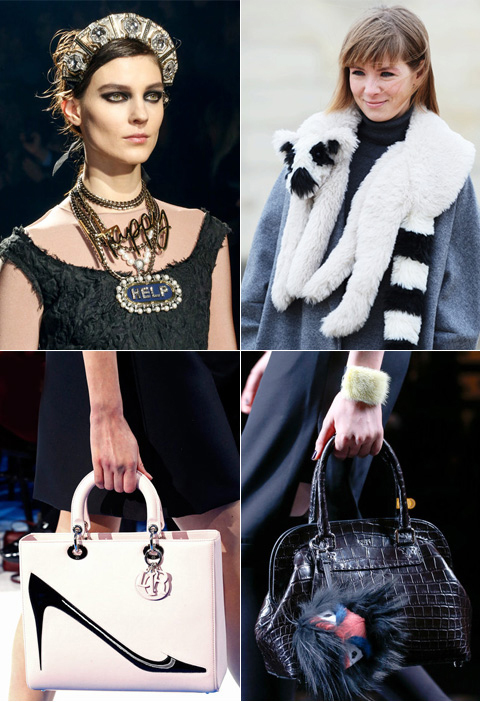 Spread the word, and start sourcing for these upcoming trends in accessories! You’ve seen it from the past season and yes, you got it right! Acid neon in clothes, necklaces, bags and especially shoes will be seen filling up the stores for the next spring summer collection. 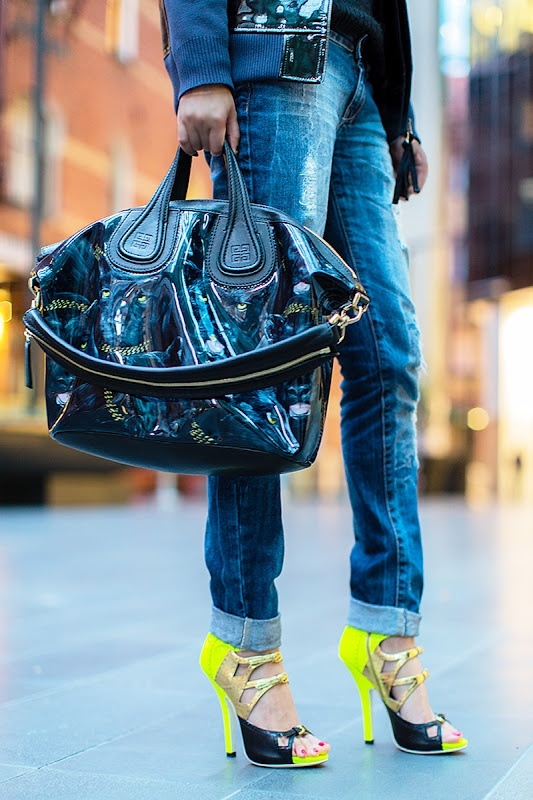 This time, the play of neon puts more focus on the heels. The more shock you can put on the heels, the better. Opt for a towering strapped heel. Alexander Wang has done it and it is bound to be the next big thing you will spot on retail market and street. 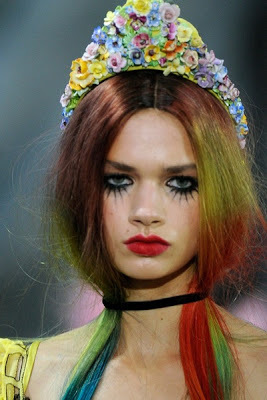 This spring summer has its festive eye on greens. As trends evolve, the next spring summer will be presenting a range of blue-green color choices that we happily call, “seaweed green”. With a play of different tones, seaweed green will be an easy choice for the perfect handbag to suit the morning to afternoon agenda. Talking about handbags, it is also time to drop the sling and clutch them up! 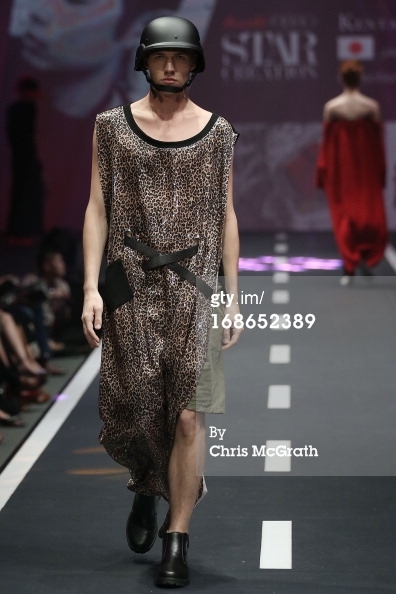 You might have seen clutches parading the past seasons’ runways. The next season of spring summer is THE time to have your clutch on. While Celine took a leap forward with an irregular clutch (or Arm bag?) that might look too avant garde for an everyday look, we suggest a petite luminous pastel handbags for a Parisian chic look, or a document sized clutch to fit all your smart gadgets in. Once you are on board with these trends, getting a few key pieces will be sufficient for the season! We hope you enjoyed what we share for today. Looking forward to share some more trends! May 22, 2013 May 26, 2013 / Surrealist Love Scene - Be Fearless, Bold and have Courage. Finalists of Audi Star Creations explored new perspectives of Asian fashion scene through their ‘InspirAsian’ themed collections. Currently in it’s fourth year running, the Audi Star Creation has been successful in paving ways for budding Asian talents to step on the international platform. This year we were treated to a visual feast once again with the theme of “InspirAsians”. 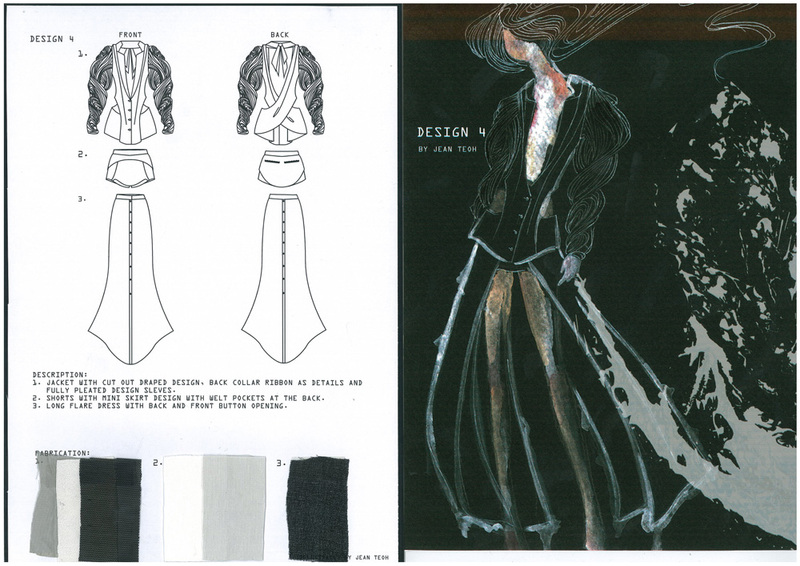 Aspiring and promising fashion designers from all around Asia took inspiration from their oriental backgrounds to produce fashion collections in creative and intriguing directions. Here is a recap of our favourite finalists. 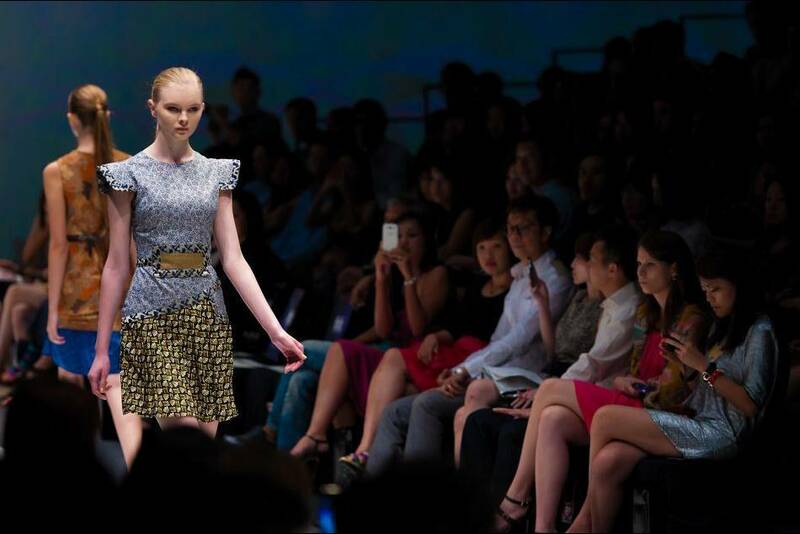 Vu Ta Linh – took his main inspiration by a Vietnamnese heritage icon, the Ruong Bac Thang rice terraces in Sapa. Intrigued by the curves and the simplicity forms of the scenery, his collection was a reflection of subtle elegance and sophistication. Taking a closer look to the inticrate details of quilting, stitching and weaving within his collection, one may find resemblance to picturesque lands and complex agricultural practice. 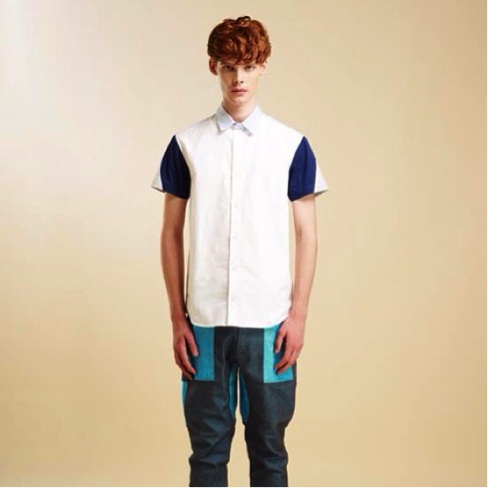 Kentaro Fujiki– Growing up in one of the Asian tiger nations has inspired Kentaro to embody energetic and emotionally charged spirits within his menswear collection. His menswear collection, featuring dynamic cuts and bold colors has resulted in a collection infused with Tokyo’s avant garde style. 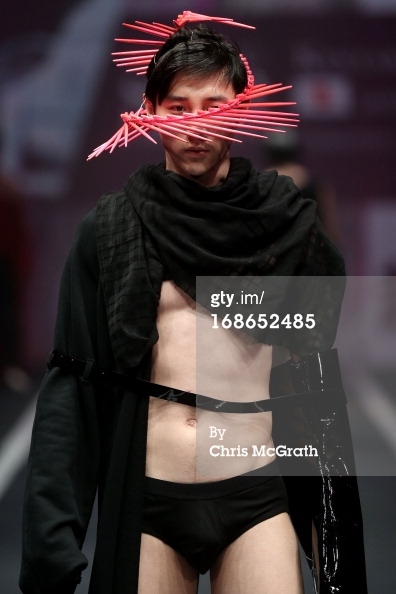 We love the unusual headgear styling that made an appearance during the runway! 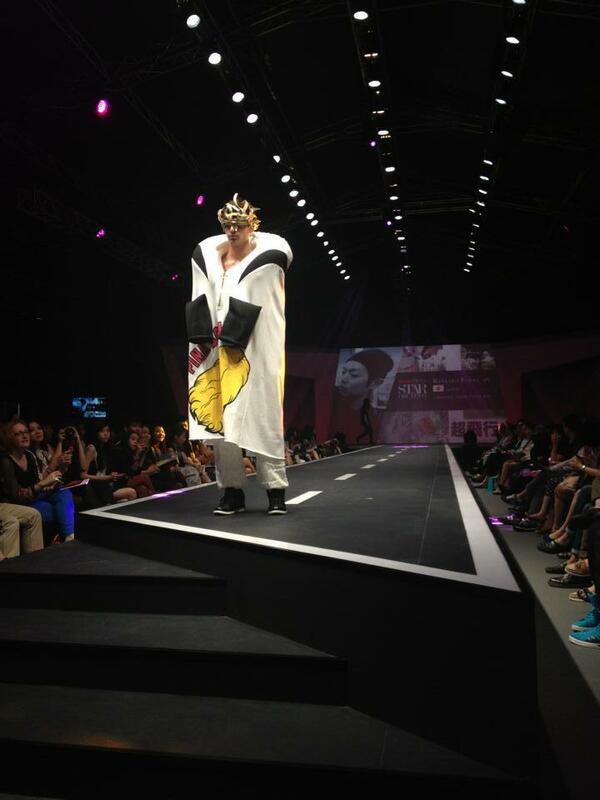 Jean Teoh – Her love for the art and theatre has pushed this Malaysian designer in approaching the theme of ‘InspirAsian’ rather differently. 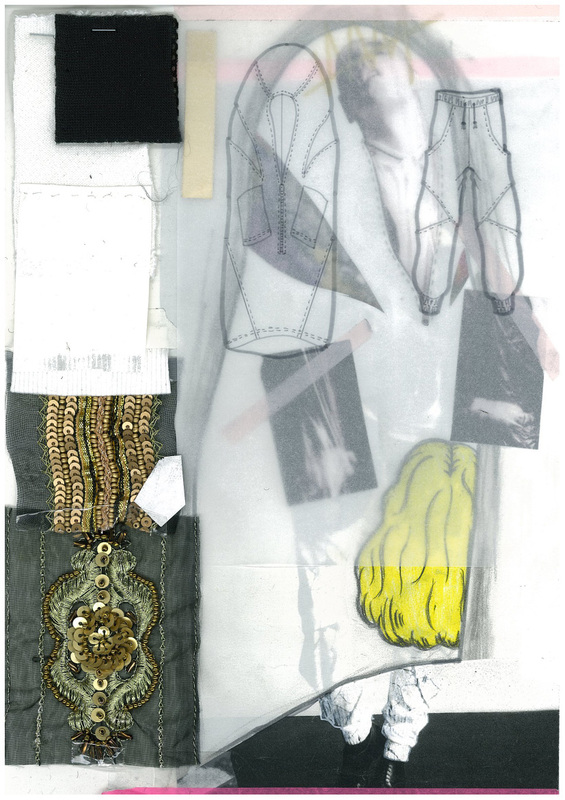 Taking her inspiration based on sound vibration she encountered in her life, her goal for the collection is to translate both of desirable and undesirable vibration into a visual buffet of fabric manipulation. Pleating, layering, knitting and embroidery technique that were used in the collection have made a significant learning point; the potential beauty of the unseen things. We are very pleased to have seen the winners of 2012 Audi star creation (Roderic Wong(China), Ko Young Ji (South Korea) and Soravit Kaewkamon (Thailand) at the Blueprint Tradeshow event. 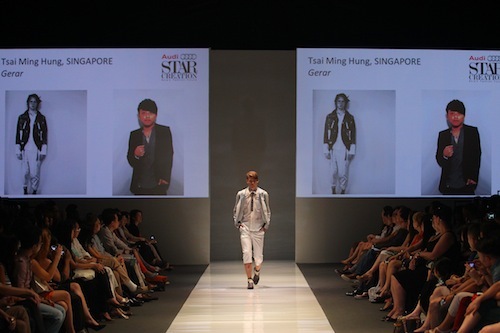 We are expecting to see more of fresh collections coming from this year’s winner of Audi Star Creation! May 20, 2013 May 26, 2013 / Surrealist Love Scene - Be Fearless, Bold and have Courage. By defying the fundamental rule of fashion regarding the changes in trend, Ong Shunmugam’s collection was the brand that stood out for us at the AFF scene. Using the traditional asian heritage as a source of her inspiration, her recent collection showed us how carefully crafted designs can be made beautifully. 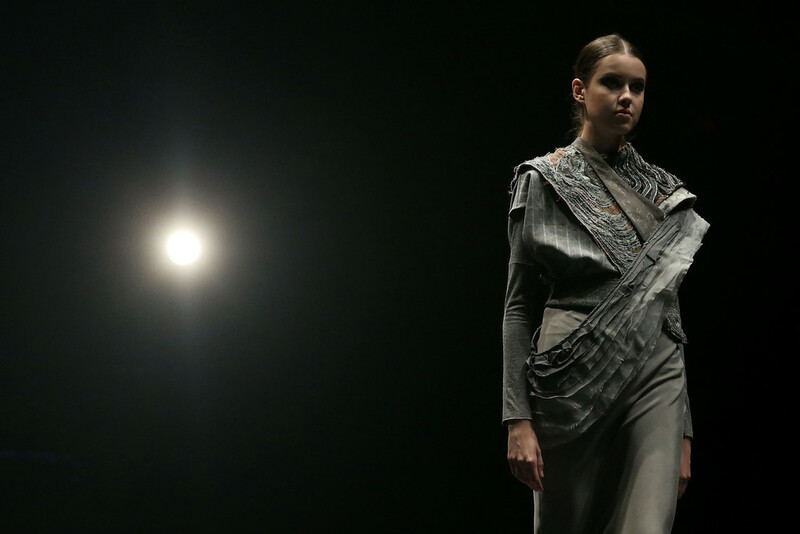 For this spring summer, Priscilla Shunmugam, designer of Ong shunmugam label dedicated her collection to old buildings in Singapore which have survived through the test of time. Celebrating her local heritage, the structured and tailored silhouette in her newest collection titled ‘Whenever I Fall at your Feet’ represents Shunmugam’s signature style of sartorial construction instead of fast fashion; a dedicated craftsmanship to translate Singapore’s architectural heritage as a form of fashion. Supported by the National Heritage Board, Shunmugam’s traditional textile choices represent the Asian cultural influence she took as a reference within this collection. The Thai songket brocade, Indonesian batik, and other authentic fabrics that was beautifully crafted with one of the Shumugam’s recurring technique of ‘prints on prints’. 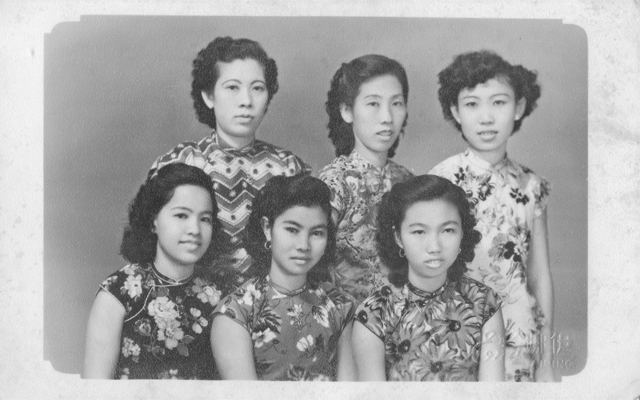 This trait proved to become this collection’s game changer in traditional Asian fabric. The direction of this season’s design deviates slightly from what Shunmugam’s usually has to offer. Known for her focus on reworking cheongsam and immaculate symmetrical fitted silhouette, this season’s silhouette explored more to asymmetrical cut detailing as well as angular edges that was executed in a refined finish. While this season’s collection might have steered away from the usual rework of cheongsam, it is still an embrace of Asian fashion heritage as a form of new work wears and evening wears in a more modern context. Nothing stops Shunmugam’s dedication in celebrating Asian women’s legacy and cultural heritage, even when she has to translate her idea to the runway. Shunmugam is starting an initiative within her new shop to honour Asian women’s fashion. She will be constructing a wall of framed images showing how women from various eras were fast to conquer fashion that was ahead of their time. Images of any orientation, old condition or vintage color treatment will be accepted. It’s time to dig up some old treasures that you can actually make use for! info@ongshunmugam.com or post it to 16 Raffles Quay b1-36 Hong Leong Building Singapore 04581 by 30th May 2013. May 17, 2013 May 26, 2013 / Surrealist Love Scene - Be Fearless, Bold and have Courage. 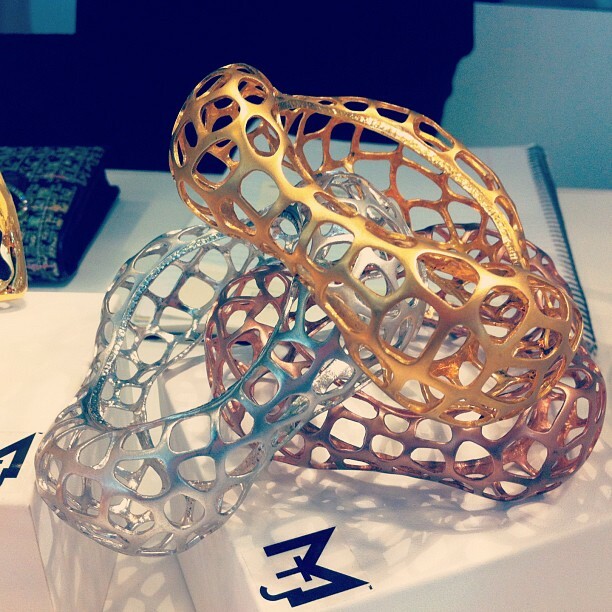 Hand made with unusual technique and materials, we are loving the treasures at the BLUEPRINT Trade show. Spotted : Marilyn Tan, Foreword label, and Saught presenting their creative contemplation of nature and their 2013 jewellery collections. A unique perspective from Evelyn Ng has turned ordinary hardware such as hex nuts and washers into statement pieces that are one of a kind! Marrying traditional material with rope knot techniques resulted in a staple collection that projects a spring/summer tribal mood with colourful bursts of dragonfly inspired hues. ‘Saught’ which means peace and reconciliation’ has transformed unexploded land mines into artisan jewellery pieces as part of peace making efforts. 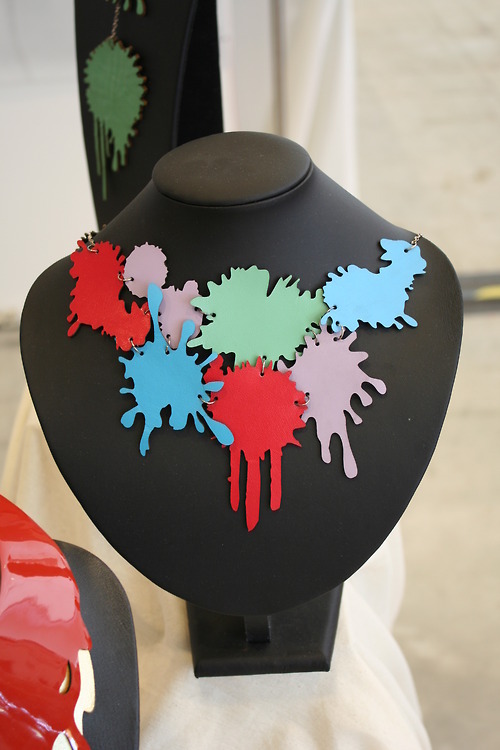 The brand’s philosophy of building peace in post-conflict countries adds a deeper purpose and meaning to the accessory. 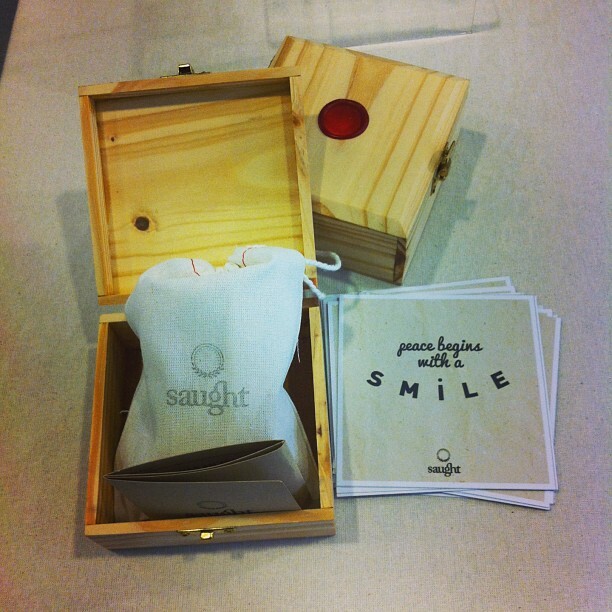 Saught shows how simple and stylish designs can touch the heart and help improve lives at the same time. We suggest to wear Saught with a combination of leather or fabric bracelets. What can we say? Meeting these designers and and listening to their stories at BLUEPRINT made us realize the amazing effort and value of an artisan jewelleries. Hats off to the designers! May 15, 2013 June 3, 2013 / Surrealist Love Scene - Be Fearless, Bold and have Courage. We fell in love with 72 Smalldive as it was a refreshing change from the endless fast good merchandise that has come to dominate much of the industry. 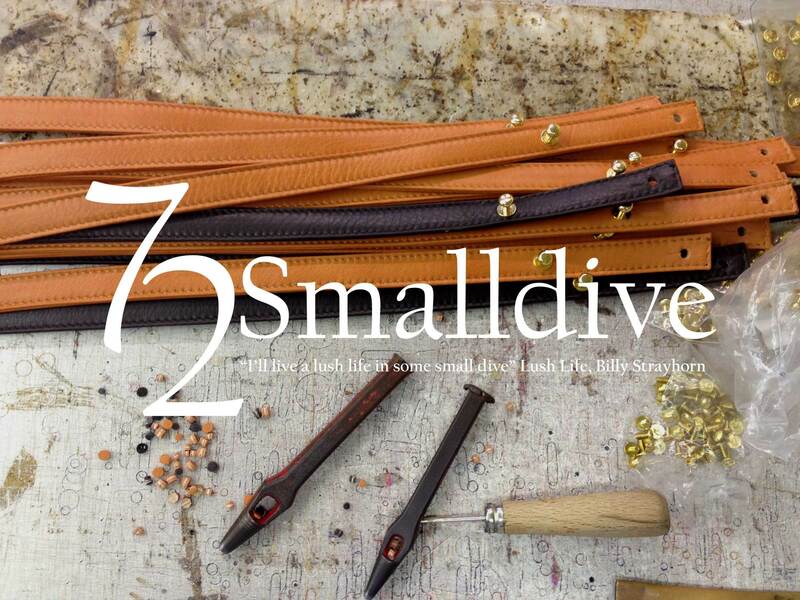 72 Smalldive brings a little something different to the table where products are made with hand and felt with heart, so that an indefinitely lasting style will be conceived. If you love simple design that speaks volume, you’ll fall in love with 72smalldive, like we did. Founded by Szetiong Soh in 2006, 72 Smalldive produces bespoke contemporary accessories, all products are handcrafted or produced by artisans. Using the expertise of six artisanal workshops in Milan, Italy, 72 Smalldive strives to seek a balance between the use of machinery and handcrafted skills in the production of its luxury items. This year, 72Smalldive will be launching its new collection, 9 O’Clock Tales at Blueprint, Singapore. Reinforcing its core belief of slow retail, 72 Smalldive would like to give customers classic products that are made organically with durability in mind. 9 O′ Clock Tales is a travel collective designed for work, business and casual travel. The quotidien document bag was created for the modern lifestyle in mind where one can easily to go from one place to another with ease and style. Made of treated Top Skin Leather to give antiquated look. Made from top grain calfskin leather, the quotidien document bag boasts strength and suppleness. Fine artisanal stitching adds the elegant accent to a simple bag. Document Bags from 9 O’Clock Tales. Leather is treated for unique antiquated look. From the bigger pieces like the travel weekender to the subtle sundry items, 9 O’ Clock Tales builds an elegant wardrobe of coordinated accessories for the consumer. In hope that owner will develop a lasting ‘relationship’ with the bag, 72 Smalldive creations are made to withstand the test of time in terms of style and durability. The Travel Weekender and Loafer shoes are made of leather too. We say it’s beautiful. The Silvertipped Chord Bracelets are named after colours of spring blossoms. PS: the silver is handmade too, it was specifically casted to this shape. May 14, 2013 May 15, 2013 / Surrealist Love Scene - Be Fearless, Bold and have Courage. Fashion. Fashion. Fashion. It is all that is buzzing in Singapore this week! There’s simply too much to catch up on with all the fashion events going on. We’re attending the Blueprint Trade show and Emporium and it is more than enough to keep us excited. Mark your calendar for the Blueprint Emporium event happening on the 18th -19th of May 2013. 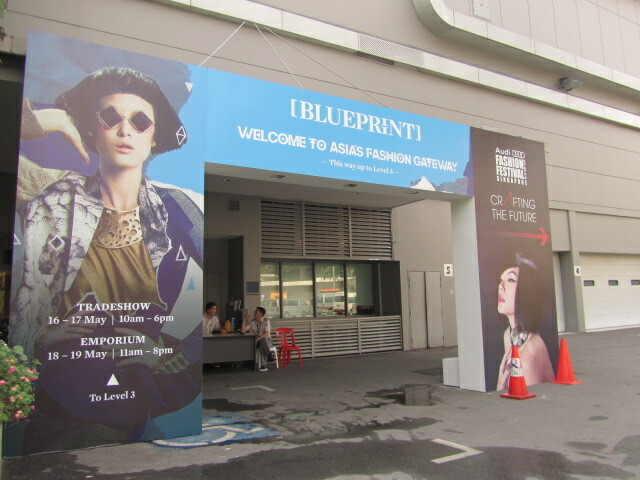 This massive shopping event will include regional and international brands that specially brought their exclusive and sometimes limited collections down to Blueprint Emporium. First of all, here are the keywords: OPEN TO PUBLIC! 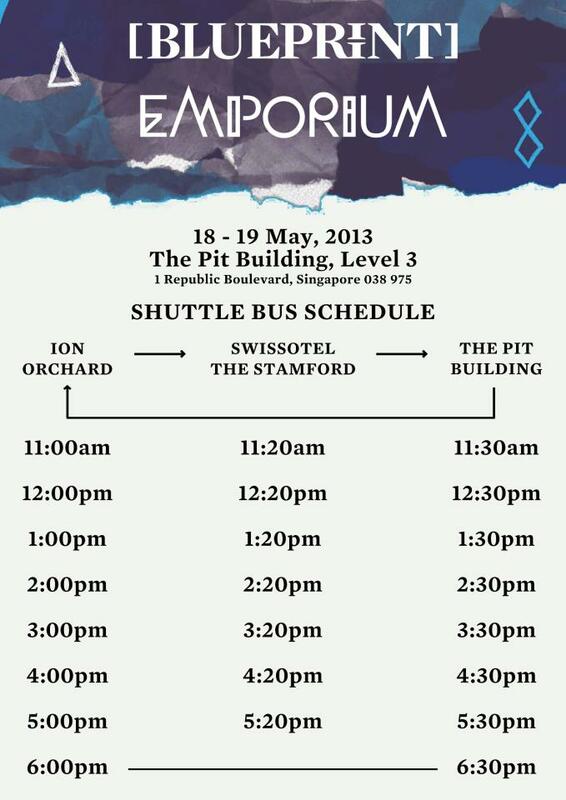 As we understand how this excitement may send you off flying around the Pit building for these two days retail therapy experience, here’s the ultimate guide to Blueprint Emporium. 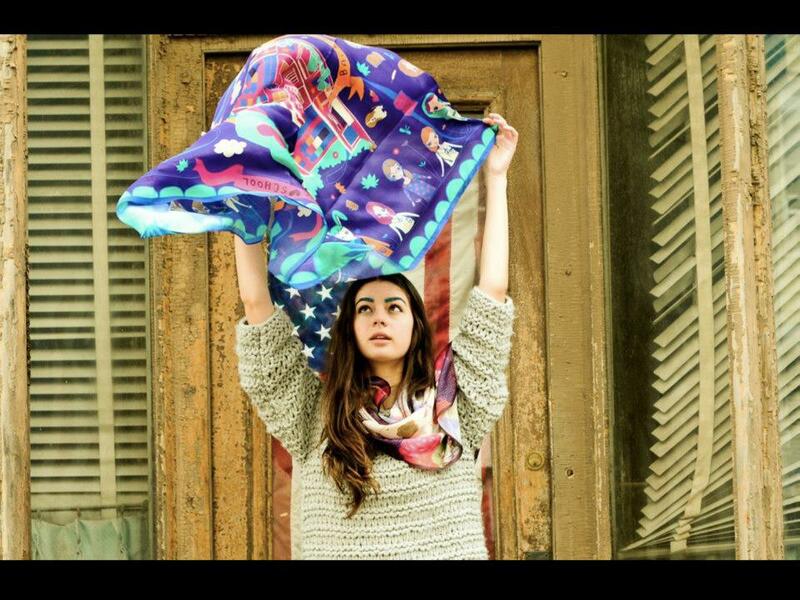 We can’t help but notice ASAMA’s wonderfully quirky scarves and handmade illustrations that are able to dress simple outfits with just the right amount of colour. We love this Thailand brand as the scarves are made from 100% silk and are the perfect quirk mates for the Irregular Choice! We will wear them together for a complete head turning look. Singapore menswear label, WSDMS, which stands for both WISDOMS and ‘We seek for discernment’, has successfully established strong statements through the use of colorful suit & shorts. 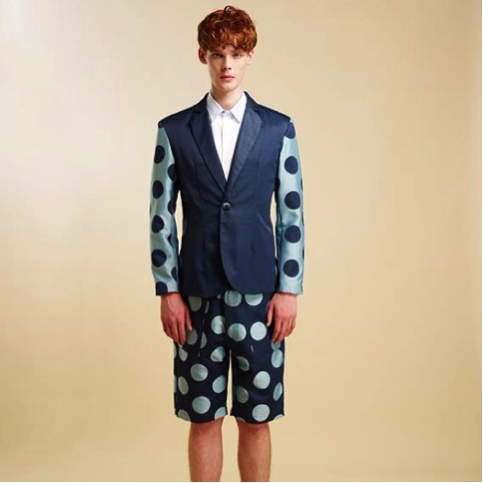 A rather fun spin to the traditional menswear, we think these will add some fun and funk for the men. When Chee Sau Fen, a self taught local designer decided to create an innovative design for the indigenous craft practice, Head of State millinery was born. Chee’s radical hat designs, which are made from sustainable material, are crafted with unusual techniques giving silhouettes, shape and form. A perfect choice for those who dare to stand out from the crowd, we challenge you to put a smile on someone’s face by wearing these unique hat pieces. Zone A sees established brands that are ready to export. Bus services to Pit Building: 56, 75, 77, 97, 97E, 171, 195, 960, followed by a 4 minutes’ walk from Bus Stop B02099. Night bus services are also available at the same bus stop – 1N, 2N, 3N, 4N, 5N, 6N and NR2. Pit Building is accessible via 2 major expressways: East Coast Expressway (ECP) and Central Expressway (CTE). There are prominent signages directing the way to Pit Building, which is located north of the Singapore Flyer. As the credit card counters may be packed with people, it will be wise to bring cash for payment to avoid the long queues! 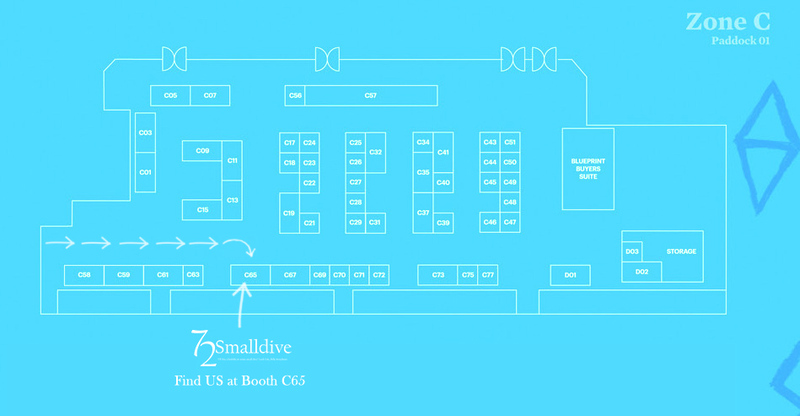 If you happen to pop by Blueprint, remember to say hi to us at 72Smalldive’s booth! 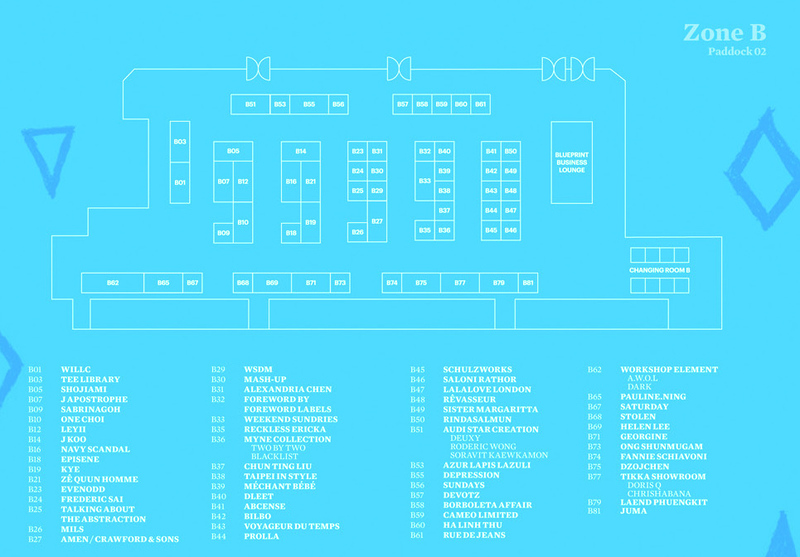 (: We will be live-tweeting, live-instagramming and checking out all the different booths for all our lovely Scenesters who may not be there at the event. It’ll be one big fashion extravaganza! For more sneak peeks as to what exclusive pieces 72Smalldive will be bringing to Blueprint, follow our Facebook Page here.